Disable the Jetpack plugin due an incompatibility with it with WooCommerce REST API. Type ‘Zakeke - 3D Configurator’ into the Search Plugins… field. User: select your user, or an user in the Administrator or Shop manager role. Permissions: select Read/Write; Please pay attention to this step as if you do not allow “write”, you integration won’t work. Take note of Consumer key and Consumer secret values. Access to your Zakeke account and navigate to: Integration. Consumer key: insert the Consumer key previously generated. Consumer secret: insert the Consumer previously generated. Store URL: insert your WooCommerce Store URL (Pay attention: the URL must be the same used during the installation of WordPress. To get the correct URL, please copy it from WordPress Address (URL) in WordPress Admin Panel > Settings > General). 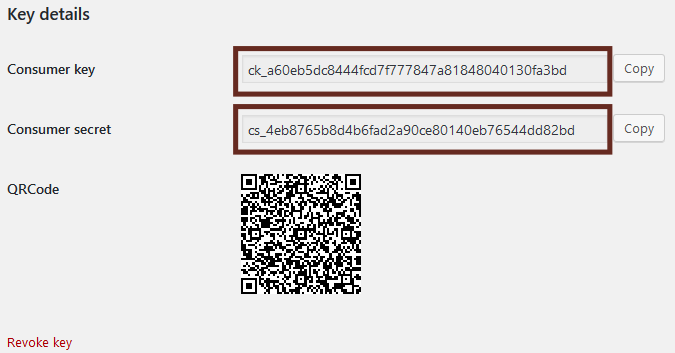 Take note of Zakeke API client id and Zakeke API secret key values. Go to: WooCommerce > Settings > Integration > Zakeke - 3D Configurator. Zakeke API client id: insert the Zakeke client id previously noted. Zakeke API secret key: insert the Zakeke secret key previously noted.